Venue: Derek’s place. Check your email from Robin in January for the address. Entry fee: This is a no fee event, but it is BYO wine. We ask members and guests to contribute by providing a salad (even number houses) or dessert (odd number houses) sufficient for about 10 people. 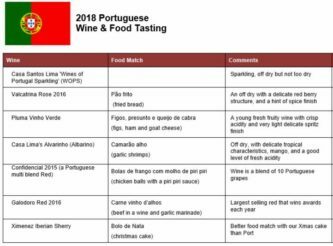 Our summer has been truly magnificent this year and as our February tasting coincidently falls on Valentine’s Day we have decided on a format that encompasses all these elements, i.e. Summer, Wine, and Romance. In short, “a love affair with wine”. selections. Make sure you find the perfect bottle to toast your love. Our selection is likely to feature something along the lines as set out below. There may be minor changes. It includes bubbles, rosés, and aromatic whites. Haythornthwaite Wines is a boutique family owned vineyard located on the ancient alluvial river terraces of Martinborough. This region has become known for producing world-class Pinot Noir and is gaining a reputation for producing award-winning Gewürztraminer, Chardonnay and Pinot Gris. As our season turns to Autumn so the northern part of the planet moves into spring and perhaps thoughts turn to touring and holidaying in Europe. We thought we would try the next best thing, a tour of Europe through wines. To assist us with this we have invited Simon Bell from Macvine International to be the tour leader. You may remember that in a previous life Simon presented for Ash Ridge a wee while back. Ash Ridge is part of the Macvine portfolio so he still represents them. Simon began his journey in the industry as a 17-year-old in Central Otago at Black Ridge, it was there that I had an epiphany and decided that the wine industry could be the one for him. From there he worked his way over to Bannockburn, then to Blenheim to study Winemaking/Viticulture. It was in Blenheim that he found his passion lay more with the wine side of the industry rather than Viticulture. A trip north took him to sunny Napier to study Winemaking at EIT. He still calls Napier home and over recent years has been drawn from the production side across to the Sales side. We will give a little detail about Craig when it is available. Simon has been with Macvine for almost a year now and is relishing the opportunity to learn about and introduce more people to the international wines in the portfolio. As Kiwis, we often spend most of our efforts “supporting local” and miss out on some amazing wines. He now gets to represent 51 wine brands from NZ and around the world. What a selection, don’t miss this one. In recognition of her leadership of the Cellar Club as President, her services on the committee for 21 years and her ongoing support and involvement in the club since 1991, I move that Cecilia Parker be granted life membership of the Cellar Club. Cecilia has been associated with the Cellar club for more than 25 years joining in 1991. She became a committee member the following year, becoming the secretary in 1995, President from 2007 to 2011 and Vice President from 2011 to 2013. Cecilia has made delectable fruitcakes for many of our important occasions. She continues to attend our monthly meetings and takes part in our activities. 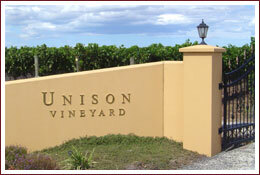 Unison Vineyard is in the Gimblett Gravels and is operated by Philip and Terry Horn. Hawke's Bay, and especially the Gimblett Gravels Winegrowing District, is not a so-called "cool climate" winegrowing region and it is also not a "hot climate" region. Hawke's Bay has a temperate climate. The temperatures in the ripening period of around 24-28 degrees Celsius are absolutely ideal for slow but consistent ripening where the aroma development reaches its greatest range. At higher temperatures a vine stops "working" and the development of aromas and tannins can be retarded and potential aroma and flavour components metabolized. 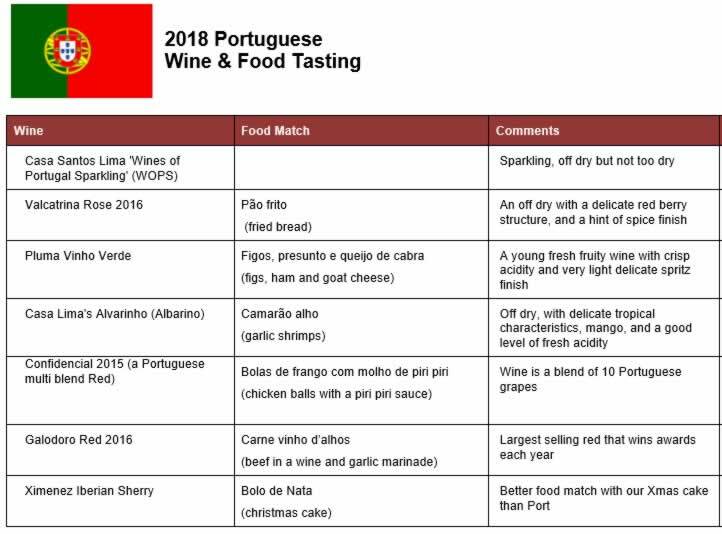 Wines produced in moderate climates have, in general, the widest aroma and flavour spectrum, are concentrated but not overpowering, is sophisticated and elegant. Due to the consistency over the years in high-quality fine wines, Unison Vineyard has been rated by Jancis Robinson (Concise Wine Companion) as one of 28 up-and-coming producers worldwide “... whose success seems most obvious to me at the beginning of the 21st century ...” – the only winery in NZ which has received this accolade. So let’s go for sophistication and elegance, from a top region, ie the Gimblett Gravels, and with owners who are dedicated to producing the highest quality in their wines. Why wouldn’t you be there? It’s off to Vietnam for our July dinner this year. 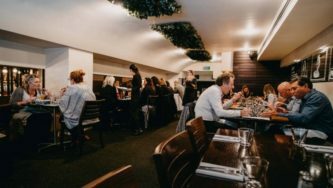 This is a restaurant with a good reputation and will offer those attending a meal with a difference. Just to clarify, this will be a banquet type menu ie there is no choice and you will get all the courses. However we are being served our own individual portions – there will be no sharing involved. The tables will be arranged to suit groups of eight and Wayne will sort out the table seating. If you want to make up a table of 8 then please let Wayne know. 7:00 start for a 7:30 sit down. A special “bubbles” will be served from 7 pm (but not earlier). Could it be Cecilia from Allan Scott; that might seem appropriate. Numbers are looking excellent, we are expecting 48. We will see you there on the night for a cracking and sociable evening. 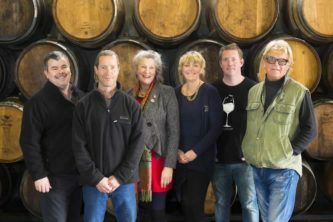 Established by Tim Turvey and Helma van den Berg over 25 years ago, Clearview Estate Winery, Vineyards & Red Shed Restaurant is situated on the coastline of Hawke’s Bay, in the Te Awanga sub-region. 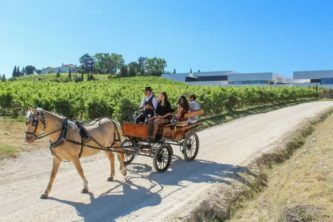 Against all the odds Tim and Helma have built up the Estate, planting vines and trees, establishing the restaurant and renovating the historic homestead. Just imagine, you are sitting on the deck of a rather nice river cruising boat in the Southern Rhone area. The day has a balmy warmth. Vineyards tumble down to the water’s edge. The aromas of good French wine, gorgeous cheeses and some French bread waft in the air. Peace, contentment and a sense of well being are evident. See photo page 4. Established in 1985 by Australia's most historic family-owned winery, Yalumba, Negociants New Zealand is one of New Zealand’s leading fine wine merchants, distributing many of New Zealand’s most celebrated wines, as well as prestigious imported brands from Australia and the world to licenced trade. 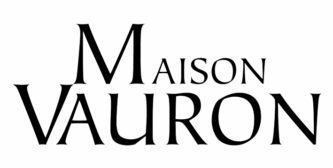 Their dedicated and knowledgeable team of wine professionals is committed to the highest levels of customer service and quality representation of their portfolio of world-leading wines. The association with Yalumba is obvious. Yalumba is Australia's oldest family-owned wine company and in many respects, the history of Yalumba is a reflection of the history of the Australian wine industry. Just like the old Shiraz vine, Yalumba in its early years was primarily a producer of fortified wines. 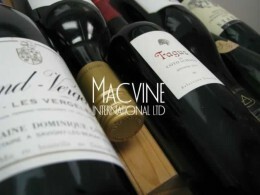 Today, however, the company is a thoroughly modern wine business and one of Australia's largest exporters. The focus is very much looking forward. You have to admit it, don’t these tastings just keep on giving. See you next Wednesday. 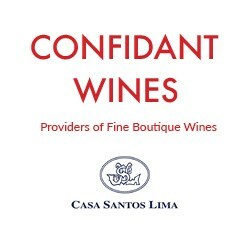 Confidant Wines specialise in Portuguese wines and for this tasting will be concentrating on Casa Santos Lima. The food is organised and the wine arranged. All you need do is make sure you have contacted Richard Taylor to confirm your attendance if you haven’t already. Some of you may have had some trouble and not realised his email has an underscore in it. You need to confirm attendance, as this tasting is limited to the first 40 people to confirm their attendance. See the payment slip for the November Tasting and December Christmas meal on Saturday 8th December at Juniper Restaurant and Bar. Download the menu for this occasion. Please return to Wayne even if you can’t make the Nov tasting. So make sure that the dinner in your diary and get yourself along to the Community Centre this Wednesday. But let Richard know first, OK and don’t forget to bring the payment slip with your tasting glasses?